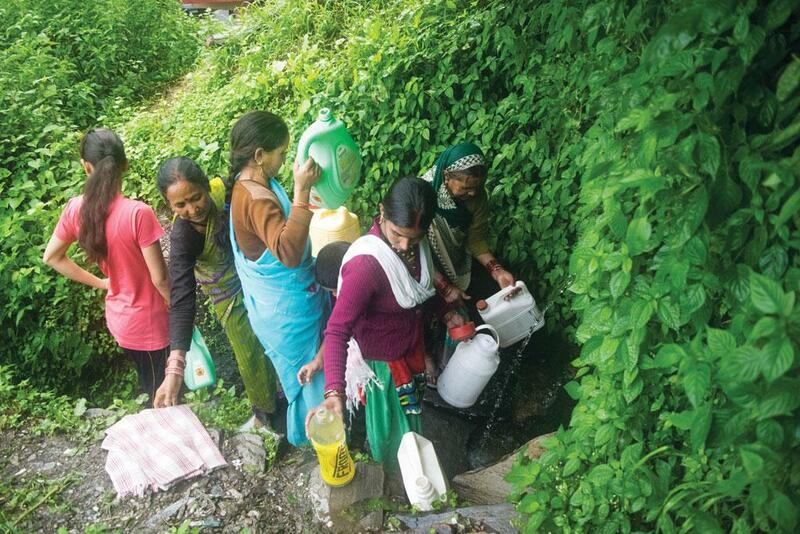 Women are the worst sufferers of the water crisis in Uttarakhand. Why are the hills going dry? Rural Uttarakhand is facing an increasingly worsening problem—water shortage. Villages in its hills and mountains were never short of water, with springs and small streams dotting the region. But with changing weather patterns, the springs and streams are disappearing. And women have to bear the brunt of this crisis because they have to arrange water for the family. Manju’s story is similar to that of many other women of Uttarakhand who have to walk as much as 10 km everyday for water. As per the National Survey Sample Office (NSSO) data released in 2013, household members in villages in Uttarakhand spend, on an average, 43 minutes per day to fetch water from outside the premises. The national average is 35 minutes. Experts say more than 12,000 of the state’s 16,793 villages and more than half of its 115 towns are facing water scarcity. “A third of my day is spent arranging water for the family. 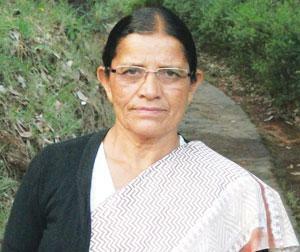 I fetch water in two 25-litre buckets, twice a day,” says Deepa Arya of Balta village in Almora district. Deepa’s village gets water from one tap shared by 27 families. The supply comes just once a week. Long walks on hilly terrain have also made women develop muscle and joint problems. Though there is no study to ascertain the extent of the problem, almost all the women this reporter talked to in four hill districts of the state complained of back pain and knee problems. “I don’t have the time or money to visit the district hospital. It’s a 15 km walk,” says Deepa. Rawat has been studying the region for the past 20 years, tracking water availability and identifying springs that have dried. “Earlier we received rainfall 300 days a year. Now it is for less than 200 days,” he adds. The water crisis witnessed this summer was mainly due to the relatively warm winter of 2015 and the scanty winter rainfall. For instance, the minimum temperature registered in Mukteshwar in January 2016 was -2°C, as compared to -4°C in January 2015. Winter rains, too, were scattered and negligible. The state saw a 46 per cent deficit in winter rain in January and February this year and almost 20 per cent deficit in pre-monsoon rainfall in March, April and May. Five districts, including four hill districts of Almora, Pithoragarh, Nainital and Pauri, were declared drought-hit in April. The change in snowfall and rain patterns has become quite common. For instance, Forti village in Champawat district, usually receives 0.6 m of snowfall every year. In 2015, there was none. The rainfall, too, was negligible. “We don’t have water to offer guests. The springs that provided water round the year have gone dry,” says Jagdish, who runs a tea shop in the village. Besides climate change, urbanisation and the resultant change in the type of forest are also responsible for the water crisis. A healthy, natural oak forest retains 31 per cent of rainwater, but in the Almora region the oak forest retains just 23 per cent because urbanisation has caused a decline in the number of oak trees, says Rawat. Construction of roads has also aggravated the water scarcity in the state. The use of dynamites to lay roads has disrupted fissures and led to drying of springs. According to the Public Works Department, the state had around 7,440 km of roads in rural areas in 2000. In 2015, the figure increased to over 18,180 km. Ill-management of water resources has also aggravated the crisis. The government only focuses on water distribution. When one source dries up, the water department connects the pipeline to another source. “No one thinks what will happen when that source also dies. The department doesn’t work on treatment of catchment areas to maintain and protect the source,” says Ravi Chopra, founder of Dehradun-based non-profit research organisation People’s Science Institute. “Perennial rivers are transforming into non-perennial rivers. For example, in 1992 the base flow (it indicates the water in a river that has come from groundwater) of the Kosi river was 790 litres per second. The figure is just 75 litres per second in 2016. Fifteen years later, we will have no water in Kosi,” says Rawat. “Earlier, village residents looked after sources of water, planted broad-leaf trees and treated catchment areas (see ‘Water solutions’). However, now water from the same sources has been diverted to faraway schools, colleges and towns in pipelines. So the villages have lost the right to their water and they don’t look after forests and springs like they used to 20 years ago,” Chopra says. S K Gupta, chief general manager of Uttarakhand Jal Sansthan, the state’s water department for the hilly region, gives another reason for water scarcity—rising population. “The population has increased, so the per capita availability of water has decreased. There are places which once had 40 litres of water per capita per day, but they now have less water because the population has increased,” he says. According to Gupta, the department spends nearly Rs 40 crore every year on maintenance of hand-pumps and pipelines. Uttarakhand Jal Sansthan says it has installed 9,502 hand-pumps in the 10 hill districts of the state and there are 0.65 million pipeline connections. Village residents, however, complain that the government’s efforts are not enough and have not reached many areas. The department’s inefficiency can be gauged from the fact that it runs 4,269 schemes for rural areas but has not been able to fulfil basic water needs. Till the time the department starts managing its resources better, women in rural Uttarakhand will continue to suffer. When LARGE parts of rural Uttarakhand were facing severe water crisis this summer, the situation in Kausani was quite comfortable. The reason was Kosi Bachao Andolan organised by Mahila Mangal Dal, an initiative led by Basanti Behn of Someshwar tehsil. "All of us planted broad-leaf trees around the Kosi river. We also didn't cut branches and green leaves, treated catchment areas to ensure proper drainage, removed sources of contamination and prevented land use by livestock. We fought with the police when they came and told us that the water does not belong to us but the state. The state or people from towns didn't plant trees. We did. We have the first right to use the water from the Kosi," she says. Kireet Kumar, scientist at G B Pant National Institute of Himalayan Environment and Sustainable Development, Almora, says, another way to solve the crisis is water harvesting. "We have surplus water in monsoon and post-monsoon months, up to October. During these months, we need structures to store and harvest water." Since a major part of the state's rural population is dependent of springs and mountain streams, it is important to work on protection of sources, says Ravi Chopra, founder of Dehradun-based non-profit research organisation People's Science Institute. "Spring regeneration is less expensive and doesn't require long gestation period. If a community undertakes catchment treatment activities for springs this year, the impact will be evident the next year. Village residents need to know hydro-geology and soil and water conservation. And it is not at all complicated," he says.